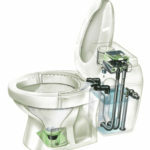 Posted on February 9, 2012, 9:43 am, by Clivus New England, under Clivus New England News, Nepon 3-ounce Foam-Flush Toilet. Posted on September 19, 2011, 1:01 pm, by Clivus New England, under Clivus New England News. Posted on September 9, 2011, 11:39 am, by Clivus New England, under Clivus New England News, Nepon 3-ounce Foam-Flush Toilet.